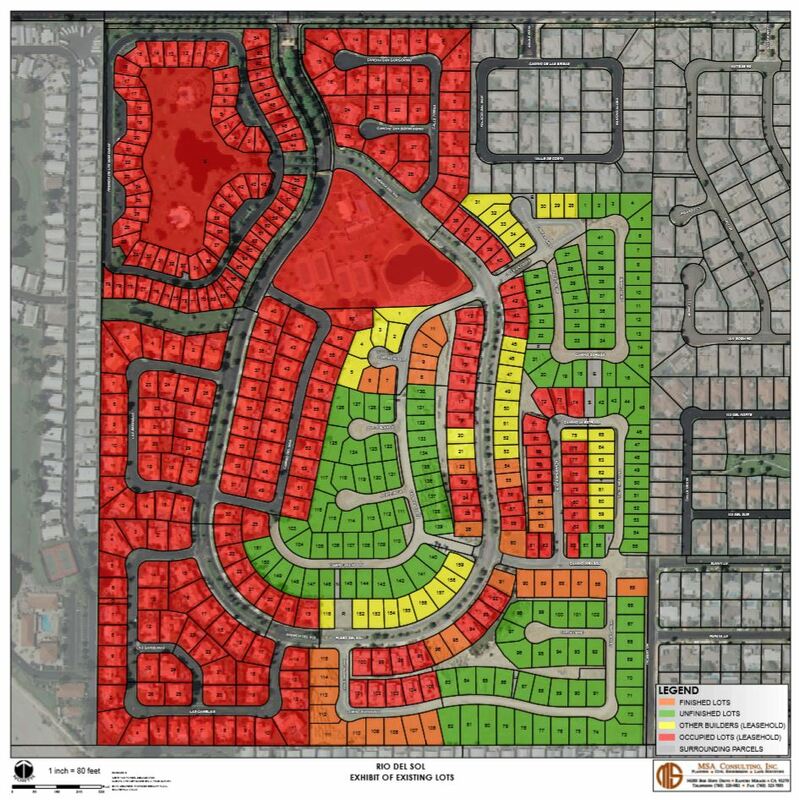 Rio Del Sol is a gated community that consists of 177 finished and partially completed lots, ranging in size from 5,000 to 7,000 sq. ft., located in Cathedral City, CA. Cathedral City lies in the heart of the Coachella Valley and is minutes away from the exclusive communities of Indian Wells, Rancho Mirage, Palm Desert, Palm Springs and La Quinta. Rio Del Sol is just minutes from world-class golf and resort destinations such as the Pete Dye Mission Hills Country Club Challenge Course, the Dinah Shore Tournament Course, the Arnold Palmer Course and many others. Residents will be able to take advantage many nearby shopping options, including the exclusive shopping on El Paseo in nearby Palm Desert.